I’m glad to announce that I had the opportunity to make a guest blog post at veganblogger.com, please make sure to have a look at my post. It deals with the ideas proposed by David Pearce: Removing suffering in the wild by human intervention. It’s called: Eliminating all suffering? If you have a dog you probably know that dogs yawn now and then. But did you ever notice that they yawn as a response to your yawning? This phenomenon is well known between humans as “contagious yawning”, but recent research indicates that even dogs can “catch” human yawns. In 2008, Joly-Mascheroni et al. 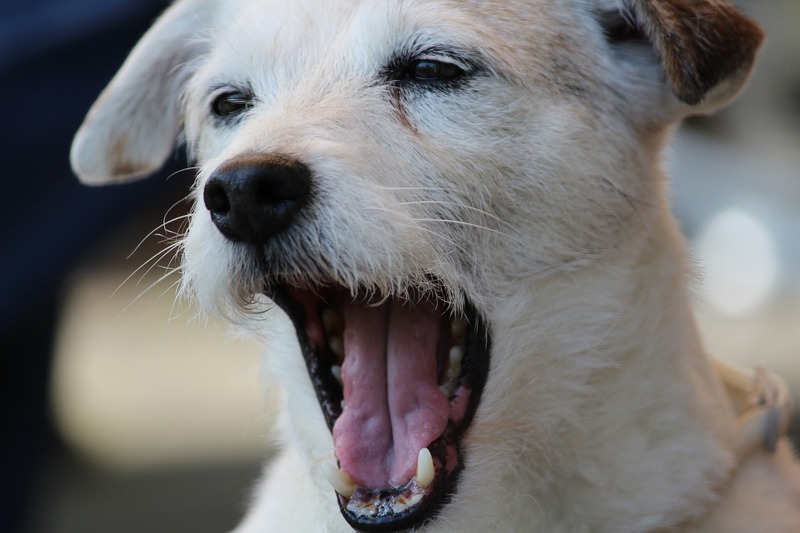 conducted a study investigating whether human yawns can elicit dog yawns. To test this, an experimenter was together in a room with a dog, the owner being behind the dog. For five minutes, the experimenter tried to make eye-contact with the dog and started yawning when eye-contact was established. This was repeated over and over again, causing most dogs to yawn at some point during this period. In the control condition, the procedure was similar, apart from the experimenter performing “non-yawning mouth opening actions”. The results were the following: 21 out of 29 dogs yawned in the yawn-condition while no dogs yawned in between the sessions or during the control condition. The dogs yawned after a mean time of 1 minute and 39 seconds. This is strong evidence that contagious yawning also exists between humans and dogs. The researchers note that their results allow for different interpretations. Previous research indicated that dogs yawn during stressful situations. In this case this would mean that the yawning condition was somehow stressful for the dogs while the non-yawning condition was not. The other interpretation is that contagious yawning between dogs and humans is empathy-mediated. This would be supported by the fact that more empathic people respond more strongly to other people’s yawns in experiments with humans and by evidence that dogs are surprisingly good at understanding human social cues. Some studies were performed afterwards yielding mixed results, supposedly due to varying methodology, such as using video-taped yawns. In 2013, Teresa Romero et al. conducted a study directly addressing the interpretation problem mentioned above. To address these issues, they had the owner and a stranger perform yawns to test whether owners can elicit more yawns, which would be expected by the empathy-interpretation. Furthermore they measured the heart rate of the dogs to assess whether the yawning-condition was stressful to them. Their protocol for yawning vs. non-yawning conditions was similar to Joly-Mascheroni et al. The results showed that significantly more yawns were observed with the owner yawning compared to a strange experimenter yawning. Furthermore the heart rate data demonstrated that the situation was not stressful for the animals. This strongly favors the empathy-mediated interpretation of contagious yawning between humans and dogs. Because the research on this topic is still relatively young, the mechanisms involved aren’t yet understood. For example, Teresa Romero et. al. mention that the evolutionary origin of contagious yawning between humans and dogs is unknown. It is especially difficult to interpret that dogs show contagious yawning together with humans but not together with other dogs. Thus, further research is required to address such questions. I would be interested to know whether you can make your dog yawn by repeatedly yawning while making eye contact; I actually managed to do so. Please let me know in the comments. This post is part of the blog post series “Interesting psychology experiments”. In 1974, Elizabeth Loftus and John Palmer from the University of Washington conducted two experiments  investigating the effects of the words used in a question about an event on the memory the participants had of this event. 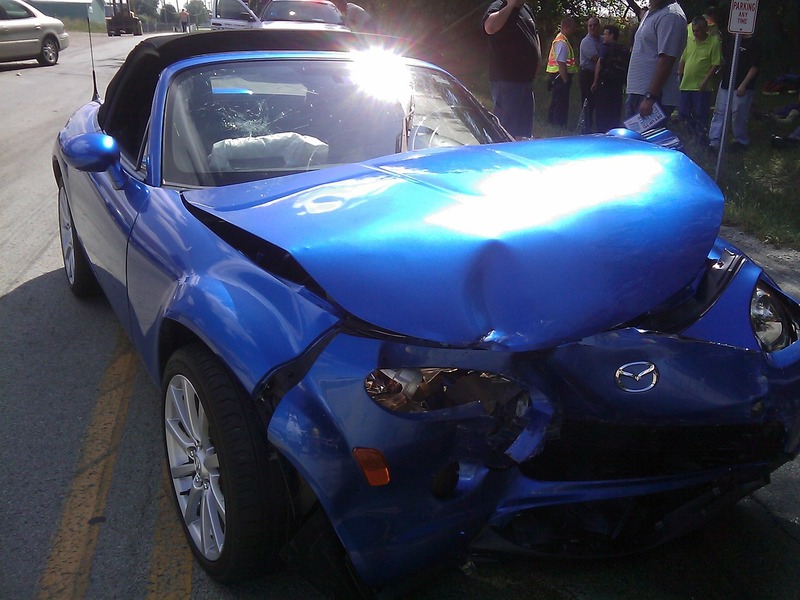 In the first experiment, the participants were shown several car crashes and were afterwards asked to estimate at which speed the cars collided. Previous studies indicated that humans are surprisingly bad at estimating the speed of cars. After watching films of cars colliding, the participants were given a questionnaire concerning the accident. One question was “About how fast were the cars going when they X?” X was the variable in this case. The participants were divided in five groups, all having a different ‘X’ in their question: (1) contacted, (2) hit, (3) bumped, (4) collided and (5) smashed. 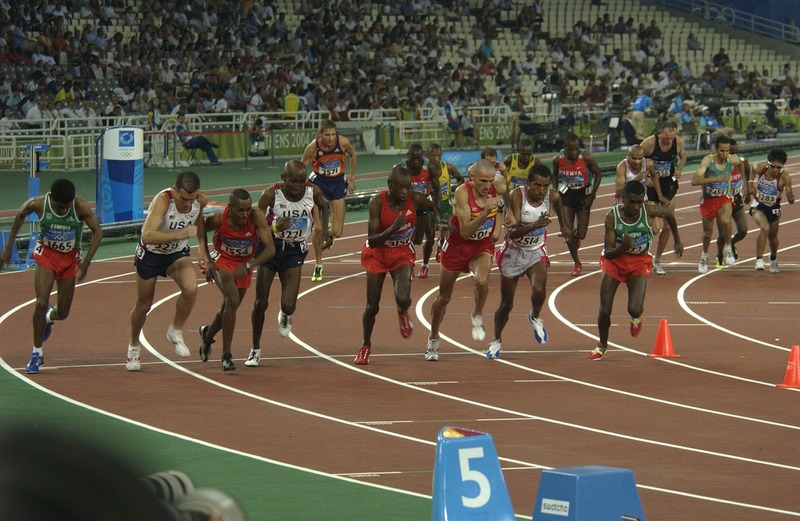 The hypothesis was that the choice of verb can have an influence on the speed estimated. Their results indicate that this was the case; the choice of word had a statistically significant effect on the speed estimate. The largest difference was found for ‘contacted’ vs. ‘smashed’ (about 9mph). While these results confirm their hypothesis, it is unclear whether this was merely due to response bias or due to a real modification of the memory the participants had of the accidents. Therefore, a second study was conducted: Participants watched a film of a multiple car accident and filled out a questionnaire, again including a speed estimate, afterwards. This time, the participants were divided in three groups: (1) One group being asked about the speed during the accident using the verb ‘smashed’, (2) one group being asked about the speed during the accident using the verb ‘hit’ and (3) a control group not being asked about the speed during the accident at all. The speed estimates for ‘smashed’ vs. ‘hit’ were again significantly different, as expected on the basis of experiment one. One week later, participants were asked to fill out another questionnaire including several questions concerning the accident. One of these questions was: “Did you see any broken glass?” There was no broken glass on the film, but the hypothesis was that the ‘smashed’ group might report having seen broken glass because they estimated the accident to occur at a higher speed – making the involvement of broken glass more likely. Their results confirmed this: People in the ‘smashed’ group were significantly more likely to report having seen broken glass than people in the ‘hit’ and ‘control’ groups. This suggests that a memory of an event can be modified by things as simple as different wordings in questions about the event. While this particular study suggests high flexibility of memory, it is difficult to draw conclusions from it for real life events because it occurred in a laboratory study, including only films of accidents. As noted here , there was a study concerning eyewitness testimony showing relatively constant and accurate memory of an emotional event over time. This casts doubt on whether memory is as flexible as the Loftus and Palmer experiments suggested if important real life events are concerned. This blog post is part of the series “Interesting psychology experiments”. Myths about veganism 2: Vegans don’t get enough protein. Especially if you are a vegan athlete or an athlete who thinks about going vegan you might wonder whether the increased protein requirements you have can be met by a solely plant-based diet. It turns out that even vegan athletes do not have to worry about their protein intake if their diet is a healthy one. It is estimated that a normal person needs about 0.8 grams of protein for each kilogram of body weight (0.36 grams of protein for each pound) and that an athlete needs between 0,8 and 1,9 grams of protein for each kilogram of body weight (0,36-0,86 grams of protein for each pound). Very few athletes require the amount of protein at the upper end of this range, but even this can be covered by a plant-based diet. In case bodybuilders are still worried about their protein intake, there are various vegan protein-drinks that can be integrated into a healthy diet. 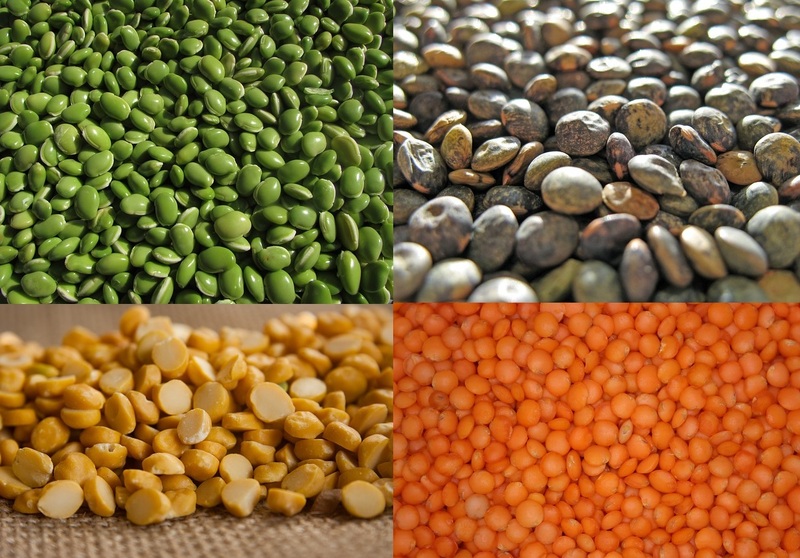 Now let us have a look at some plant-based protein sources and the amount of protein they contain.Generally, it can be said that legumes, nuts, seeds and grains are relatively high in protein. Products frequently used for meat-replacement such as tofu and seitan (wheat gluten) are also high in protein. The following table provides some examples of plant-based foods that are high in protein, but is obviously not exhaustive. As a comparison, 100g of lean beef steak include about 27g of protein which equals 7,65g of protein per ounce. From the table, it should be clear that many plant-based products are actually high enough in protein to make it easily possible to get the recommended amount of daily protein with a vegan diet. Another issue concerning plant-based protein intake is that not all protein sources contain an adequate proportion of all nine essential amino acids. While animal products usually contain all essential amino acids, i.e. can be considered whole proteins, some sources of plant-based protein do contain less from (or more from) some essential amino acids, therefore being incomplete protein sources. Some plant-based protein sources, such as quinoa and soy, are actually complete, but incomplete protein sources are less problematic than previously thought. Upon finding out that some plant-based protein sources do not contain an adequate proportion of all essential amino acids, the idea to combine different protein sources during one meal became quite popular, resulting in sometimes complicated combinations. Luckily, this is not necessary: It is absolutely sufficient to have protein intake from diverse sources over the day. A healthy vegan diet should include different protein sources, naturally resulting in an overall balanced intake of all essential amino acids, but it is not required to cleverly combine them during each meal. To sum up, vegans get sufficient protein intake if their diets include adequate amounts of plant based protein. This also results in an overall balanced intake of all essential amino acids if diverse protein sources are consumed throughout the day. Have you encountered this myth as a vegan and do you know other myths you would like me to write on? Please let me know in the comments. In the late 1960s, Professor Walter Mischel from the Stanford University started a set of studies investigating delayed gratification in young children. In the original studies, the procedure was the following: Children, between 3 and 5 years old, were given a marshmallow and were told that they would get a second marshmallow if they wait long enough and don’t eat the first one. The time until the child started eating the marshmallow was measured, the upper limit being 15 minutes because then the experimenter came back with the promised second marshmallow. Interestingly, follow-up studies showed that the duration of time the children waited for the second marshmallow correlated with the achievements of them many years later. Children who waited longer than others in this experiment tended to have more success in school, higher SAT scores, lower BMI (Body Mass Index), higher income and more successful marriages later in life. The common interpretation of these findings was that self-discipline is the factor causing the different times children are waiting during the experiment. The idea behind this is that high self-discipline carries on into later life and enables the children to have a more successful life. This interpretation was questioned by a recent study with a relatively low sample size. This study wanted to investigate whether rational decision making in the form of the assessment of the reliability of the environment is also an important factor. Previous studies indicated that uncertainty about the arrival of the second marshmallow decreases waiting time. This study specifically intended to test the difference in waiting times for two different conditions: The reliable and the unreliable condition. Their hypothesis was that children in the reliable condition will view the situation as more reliable and therefore wait longer, the opposite being expected for children in the unreliable condition. The researchers changed the protocol to include the reliable and unreliable conditions in their experiment: Before starting the actual marshmallow task, they completed two different aspects of the experiment. First, the experimenter brought a very limited set of crayons and a piece of paper to the room where the child was sitting and said that he could bring additional crayons from the other room. The child naturally wanted more crayons and in the reliable condition they received those soon while in the unreliable condition the experimenter apologized and said that no additional crayons were in the other room. This was repeated with a sticker: In the reliable condition the experimenter brought a larger sticker from the other room while in the unreliable condition the child had to use a smaller sticker despite being promised a larger one. Afterwards the marshmallow task was completed in the way described above. Their findings were statistically highly significant: The children in the reliable group waited for a mean time of 12 minutes and 2 seconds while the children in the unreliable group waited for a mean time of 3 minutes and 2 seconds. This supports their hypothesis that the child’s assessment of the reliability of the situation is a contributing factor to the duration of time waited. This also has implications for the original findings: Depending on the background of the children their belief in the reliability of the world can differ, resulting in a different duration of time they wait. While this doesn’t imply that self-discipline isn’t also a contributing factor, it indicates that it’s not the only one. 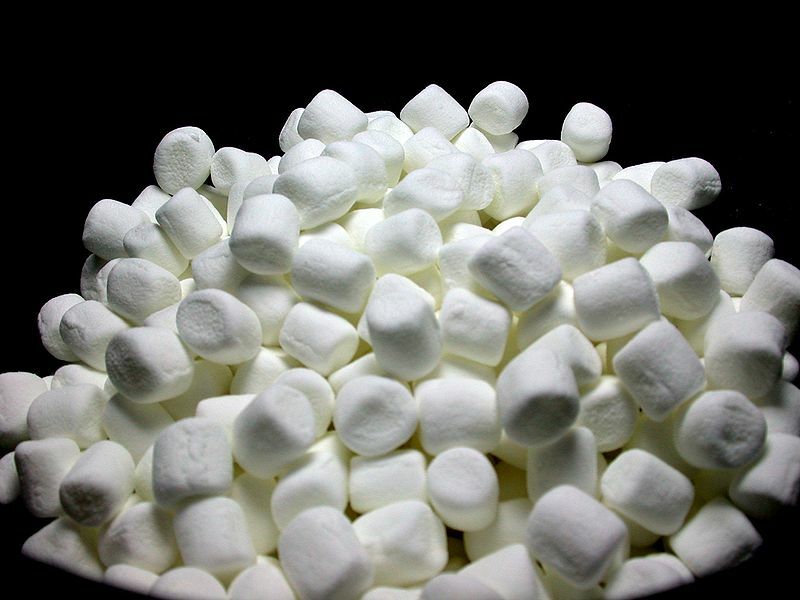 To sum up, the marshmallow experiment is a surprisingly efficient predictor of the success of children later in life. Early interpretations of this included mainly self-discipline as the cause of both the longer waiting time and the later success in life while a recent study suggests that the explanation is a more complex one and has to include the ability to make rational decisions. The idea that vegetarians or vegans don’t perform well at sports is quite common and interrelated with the myth that ‘vegans don’t get enough protein’ which will be featured in a future blog posts of this series. For the purpose of this post it is sufficient to say that a proper vegan diet can easily include all the protein required, even if you want to gain muscle. In an interesting interview, the sports nutritionist Nancy Clark states that while the research on the influence of vegetarian or vegan diets on the performance of athletes is limited, anecdotally they do fine. This is further supported by statements later in the interview mentioning that vegans can certainly get sufficient calories and protein if they have a healthy diet. One thing that should generally be supplemented in a vegan diet and is also required for good performance at certain sports is vitamin B12, which is nowadays frequently added to soy milk. While research on the effects of a vegan diet on the performance of athletes is rare, some studies have indicated that a vegetarian diet can work out well for athletes. Examples are in this publication, summarizing earlier research and concluding that vegetarian diets might increase performance in endurance sports and that vegetarian diets include all needed nutrients known. Some studies indicated that exercise increases the iron requirements of our bodies, while vegetarian or vegan diets can sometimes result in insufficient iron intake. While iron levels should generally be observed, this suggests that especially female athletes with a vegetarian or vegan diet have to take care of their iron intake and should consider adjusting their diet in a way to increase it – while staying vegetarian/vegan of course. Now let me mention some examples of vegan athletes demonstrating that it is possible to be a successful vegan athlete – without having much to say on the exact effects of a vegan diet on athletic performance of course. Scott Jurek is a famous ultramarathoner who has been vegan since 1999. He won a very large amount of races, such as the Western States Endurance Run – in this case seven consecutive times. Many of his accomplishments occurred after going vegan – a complete list of them can be found here. Patrik Baboumian, a former bodybuilder, is a strongman competitor who turned vegetarian in 2005 and vegan in 2011 without losing strength. In 2011, albeit before turning vegan, he was awarded the title “Germany’s strongest man”. A full list of his accomplishments can be found here. Brendan Brazier is a former Ironman triathlete and endurance athlete who has been vegan since more than 20 years. A list of his race results can be found here, including for example winning the National 50km Ultramarathon Championship in 2006 and setting a new record. He also authored several books on the vegan diet. The foreword of “Thrive: The Vegan Nutrition Guide to Optimal Performance in Sports and Life” is written by Hugh Jackman (Wolverine), who received advise by Brazier on meal plans. While Jackman did not go vegan, he reported positive results. Carl Lewis, a very successful athlete, went vegan in 1990 and his accomplishments include winning several Olympic gold medals. One of his greatest achievements happened in 1991 when he was 30 years old: He broke the 100m world record with a time of 9.86s. He believes that the vegan diet improved his performance and made this result possible. The list of successful vegan sportsmen could go on and on, these are just some examples in order to illustrate that a vegan diet can be maintained even during extreme athletic performances. Did you ever encounter this myth upon telling people that you are vegetarian or vegan? Did you maybe hold yourself that this myth could be true? Please let me know in the comment section and feel free to suggest other myths I should post on. I’m delighted to announce that I’m going to start two new blog post series now. The first one will be called ‘Myths about veganism’, dealing with and commenting on several common myths such as ‘vegans don’t get enough protein’ or ‘cows have to be milked’. This way I hope to bring the truth or untruth behind these myths to the attention of more people. I’ll post on one myth at a time so I’m able to go into some detail without making too long posts. While veganism and animal rights are very important to me, I don’t want this blog to be solely about these topics, so the second blog post series is going to focus on another interest of mine: Psychology. It is going to be called ‘Interesting psychology experiments’ and will go into some depth about such experiments – again one at a time. While I already have several posts in mind for both blog post series, I’m open to suggestions, so if you know a vegan myth or a psychology experiment you would like to see me write on, please let me know in the comments. Don’t forget to ‘follow’ in order to see these upcoming blog post series.